Sriracha is a top-growing trend on menus, increasing +300% since 2014. TABASCO brand Sriracha Sauce --- 2 Tbsp. Mix TABASCO Sriracha Sauce with pico de gallo; set aside. Grill flank steak to desired temperature; slice into strips. In serving dish, layer lettuce, black beans, cherry tomatoes, crushed tortilla chips and queso fresco. 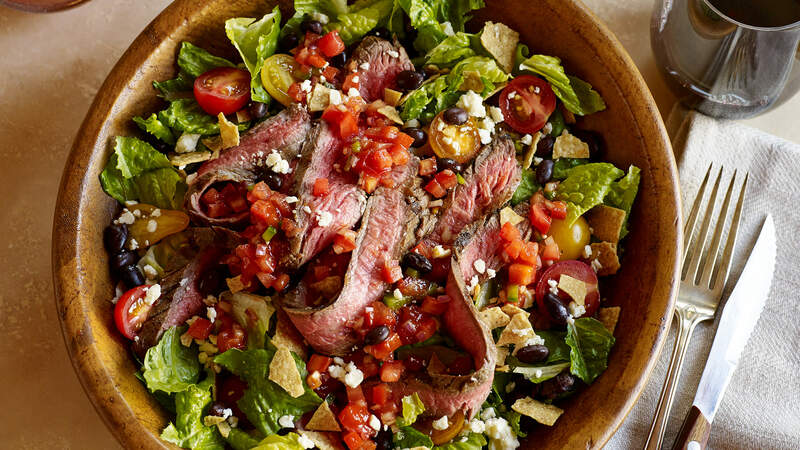 Place steak slices on salad; drizzle Sriracha-spiced pico de gallo over top and serve.